After catching the eye of a lot of fans on Instagram and Twitter we have decided to drop a previously unreleased t-shirt! 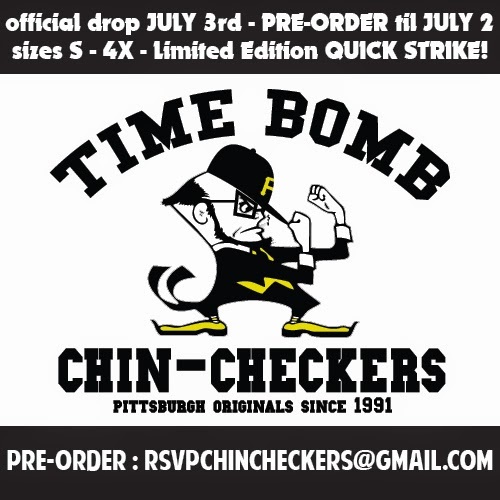 You can preorder the Chin-Checkers tee by emailing your size and address to RSVPchincheckers@gmail.com. Sizes range from Small to 4XL; pre-orders for the limited edition quick strike will end July 2nd and the shirt will drop July 3rd! 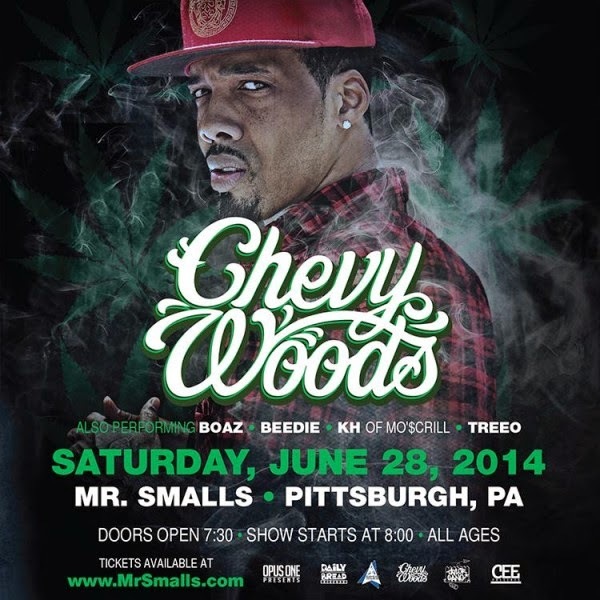 This Saturday, June 28th, at Mr. Smalls Theather in Millvale marks Chevy Woods return performance in Pittsburgh. Chevy will accompanied by Boaz, Beedie, KH and TreeO. Doors open at 7:30 and the show starts at 8. You can get general admission tickets HERE and Meet and Greet tickets HERE! Hope to see you there. LOKI teams up with Lord Willin to give us a "Can't Stop Winning" remix. Now In At Timebomb: LRG, Akomplice, S.S.U.R. and More! All collections are available in store or online HERE! TIMECAPSOUL, consisting of emcee's BZE and Dos Noun, are back with another visual directed by Ben Fredette. "All City", produced by Blitz, showcases the duo around all the sides of the city with cameo's from some well known names in the underground. Bo drops his latest track in visual form with "Do It All Over". Expect a new album from Boaz this summer!